Megaprojects are crucial to the future of most cities, states, and individual livelihoods, however, they also attract a lot of public attention because of the substantial impacts they have on communities, environments, and government budgets. The objective of these projects is to unlock higher growth paths for the economy, as such, they require care in the project development process to reduce any possible optimism bias and strategic misrepresentation. The problem is that these projects often go off the rails, either with regard to budget, time or both. The risks associated with MegaProjects, those costing 1 billion or more, are well documented. In one influential study, Bent Flyvbjerg, an expert in project management at Oxford’s business school, estimated that nine out of ten go over budget. The first factor is that the size of a MegaProject can be so large and unique that it is difficult to model the costs and logistics. Another factor is that MegaProjects are backed by governments which are not typically known for their success in budgeting or efficiency. In today’s post, we’ve identified the Top 6 most impressive MegaProjects of 2015. These MegaProjects will transcend time and continue to bestow wonder upon new generations. Mall of the World in Dubai was announced in July 2014, location in Al Sufouh district, along Sheikh Zayed Road, different from Mohammed bin Rashid City. Dubai has a very ambitious project on its hands. Dubai’s Mall of the World will have its very own Oxford Street and Broadway. It will also have galleons and waterfalls. However, the most challenging part of this project is that the area will be covered by a giant retractable roof during the summer months and be climate-controlled creating the world’s first temperature controlled city. Launched with a fanfare by the emirate’s ruler, Sheikh Mohammed bin Rashid al Maktoum, it is the first state-sponsored mega-project to emerge from Dubai since the pre-crash bubble. After years of stalled projects the big plans are back and they are more ambitious than ever before. It is thought the huge construction will attract 180 million visitors a year and developers hope it will secure Dubai’s futures as a tourism hub. The Mall of America (MoA) is a gigantic shopping mall owned by the Triple Five Group and is by far the largest mall in the United States. 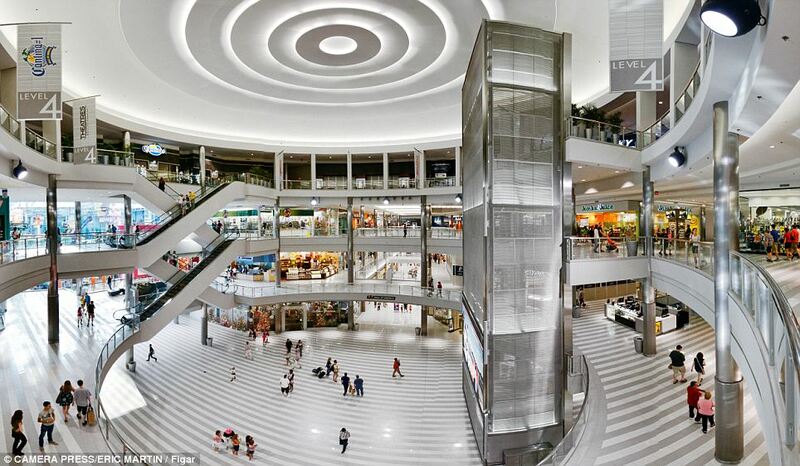 However, the $325 million expansion of the nation’s largest shopping center is now underway. The project consists of a luxury 342-room hotel, an office tower and more than 50 shops and restaurants. Some 1,000 jobs are expected to be created during the construction phase of the project, and 2,500 permanent jobs from retail, hotel and office operations. The Triple Five Group, owned by Canada’s Ghermezian family, owns and manages the Mall of America, as well as the West Edmonton Mall. MoA is located in Bloomington, Minnesota (a suburb of the Twin Cities). The $333 million site is currently under construction and will be the largest build-to-suit office project in Chicago. Zurich a north america insurance company headquarters includes a 735,000 square foot building rising to 11 stories at its tallest, shaped something like the letter A resting on its side. Zurich looked at a multitude of factors and in the end made the decision that investing in a new state of the art regional headquarters would be the right choice. The project is due to be completed late summer of 2016. This massive $32 billion structure sent its first commercial jet into the air in late October 2013. The project isn’t scheduled for full completion until 2027 and is expected to become the world’s busiest airport, however, with plenty of other contenders quickly taking shape in Asia and the Middle East, it’s has stiff competition. Dubai World Central Airport is expected to shuttle 160 million passengers through Dubai every year making it the busiest airport on earth. Bao’an plays a pivotal role in the Pearl River Delta: It serves both Shenzhen and Hong Kong, via a connecting ferry. 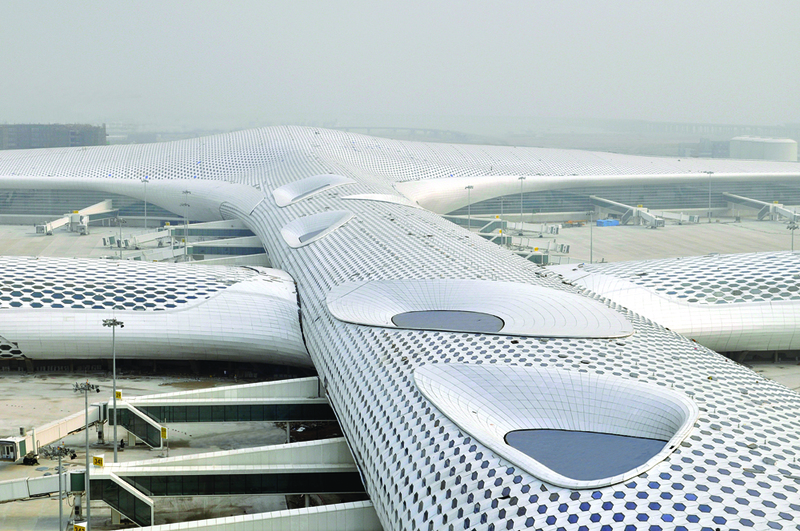 Terminal 3 is an expansion project designed by the Italian architect Massimiliano Fuksas. The centrepiece of the expansion is a new runway, which is built on a 108,000-foot piece of land reclaimed from the River Delta. Crossrail tunnelling began in 2012 and ended at Farringdon, London in May with the break through of tunnelling machine Victoria. Eight 1,000 tonne tunnelling machines bored 26 miles or 42 km of new 6.2m diameter rail tunnels under London. London is the fastest growing capital city in Europe and today it is home to 8.6 million people with the population expected to reach 10 million by 2030. TfL’s work is critical to supporting the continued growth and regeneration of London. As we reflect upon these impressive feats by mankind, we can only imagine what the next big wonder will be. Is it the secretive Nicaragua canal? Could it be Elon Musk’s proposed Hyperloop concept? Or perhaps it will be a new state of the art high speed train developed by China, USA or the UK? Did we miss one? Please let us know by commenting below. Oh ! What nonsense ! Public projects okay. But private projects just navel gazing. For instance, Dubai does not need another mall and is built on hot air anyway. Does Hong Kong need another express railway ? By comparison, my Hanoi Haiphong Expressway will affect the economic development of the whole of North Vietnam and offer SW China a link to the port in Haiphong. Just want to put the article in perspective. Live in the real world. I would recommend the Hong Hong Shenzhen express railway project.